With Crucible 4.1 you will enter the new world of repository-level administration with the option for instance administrators to delegate permissions to add and manage particular repositories. We also now support SVN 1.9, as well as expose SVN merge info in the commit graph. We also improved the screen you often see - the "Edit Review" dialog. So we're happy and excited to introduce you to a brand new Crucible 4.1 version! If you are updating an earlier version of Crucible, please read the Crucible upgrade guide and the End of Support Announcements for Crucible. The Crucible 4.1 changelog is below. Forget about one person performing every single required action and managing access rights and adding or removing user groups for hundreds of repositories. From now on your Crucible instance administrator can delegate permissions to manage individual repositories without giving global administration access! It is now possible to grant permission to manage all repository settings and to perform maintenance, including re-indexing, stopping and removing repository access from a particular user or user-group. We also updated the Global Permissions screen to make it more user-friendly and consistent across Atlassian tools. 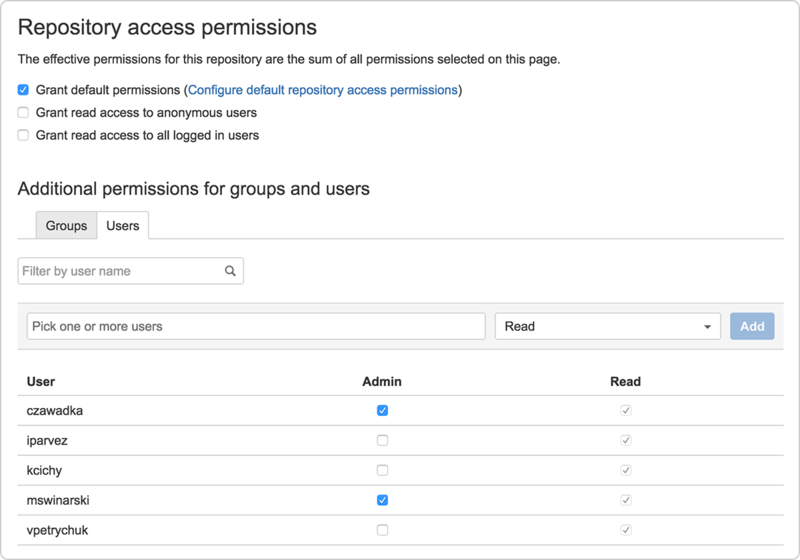 You can define the access type for every user/groups and give permissions to add new repositories. Working across multiple SCM systems is a critical component of Crucible with many of our customers using both SVN & Git. We are happy to announce that SVN 1.9 is now supported by both bundled SVNKit and a native library. If you're already using SVN 1.9, you can keep SVN server and Crucible on the same machine and to access repositories over file:// protocol for maximum performance. 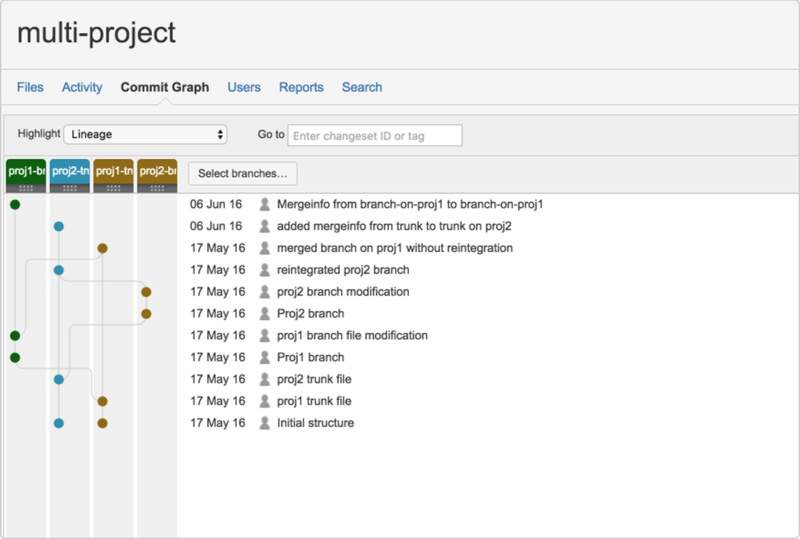 Since the majority of our customers have massive code history, SVN merge information is now visible in the Commit Graph to make it easier for you to investigate your history and big branch changes. One of the screens we know you interact with the most is now redesigned to bring you a more user-friendly experience and be more consistent across Atlassian standards. You can also add both users and groups as the reviewers. This section will contain information about the Crucible 4.1 minor releases as they become available. These releases will be free to all customers with active Crucible software maintenance. The issues listed below are just the highlights of all those that have been resolved for the Crucible 4.1.x releases.